Admin has 216 articles published. The Seattle Housing Authority’s Rainier Vista community has been hosting dual-language Tea & Technology Talks since April of 2018 to seek resident input on a new computer skills program coming this summer. Building Our Bridge – Seattle Housing Authority Residents Crossing the Digital Divide is an SHA resident-led, City-funded initiative to bring digital literacy skills to the Oromo, Vietnamese and English-speaking tenants of this low-income family community in Seattle’s Rainier Valley. The beautifully developed curriculum for the program has been generously donated by the Seattle Public Library. Topics over the next two years will be selected from Email, Mouse & Window, Keyboarding, Internet, MS Word and Resume-Writing, Social Media, The Source and Parent Engagement. 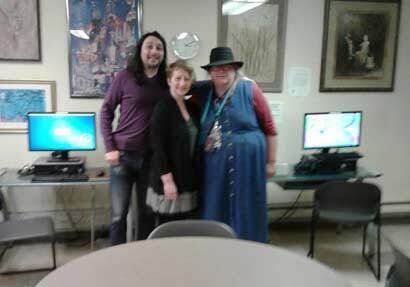 The Seattle Public Library brought a Vietnamese Basic Computer Series to Rainier Vista in 2016, and a Somali series in 2018. There has been a buzz in the Rainier Vista Oromo community about parent engagement and use of the Seattle Public School system’s The Source. The Source opens on-line access to parents and guardians to their children’s attendance, assessment scores and secondary student assignment grades. By allowing parents to track their children’s progress, The Source helps students move more quickly into advanced learning options and get on the college track. In so doing, The Source addresses academic barriers faced by Children of Color in communities experiencing economic hardship. Computer skills classes at Rainier Vista in will be conducted in Oromo, Vietnamese and English cohorts, and the project hopes to open the program to Somali instruction in 2020. Representatives from each language community will have the important opportunity to shape the program by meeting to review resumes and conduct interviews for (6) bilingual computer instructors and computer instructor assistants. More than 45 applications have been received so far. The Building Our Bridge project was created by three Seattle Housing Authority residents (Elizabeth Kennedy, Ben Wong and Dorene Cornwell) who wanted to expand the Full Life Care-Seattle Housing Authority Mobile Lab Project. For two years, the Mobile Lab Project brought a mobile computer lab with devices and instructors to residents of (9) Seattle Housing Authority Low Income Public High-rise and Senior buildings in North Seattle. Kennedy and Wong were instructors on the project, and they teamed up with Cornwell to bring the mobile lab to the Seattle Housing Authority’s immigrant and refugee communities in South Seattle. With the loan of (4) Windows laptops, (3) Chromebooks, a mobile hot spot, and (3) plastic tubs on wheels from community partner Full Life Care, it is poised to do just that. The Seattle Housing Authority has supported the project with use of space for classes, and staff time from Rainier Vista Community Builder, Jen Calleja. One challenge the project is still trying to address is how to meet families’ needs for child care so parents can take classes. Like the Mobile Lab Project before it, Building Our Bridge is financed through the City of Seattle Technology Matching Fund grant. The Technology Matching Fund has seeded technology programs in the City for more than 20 years. 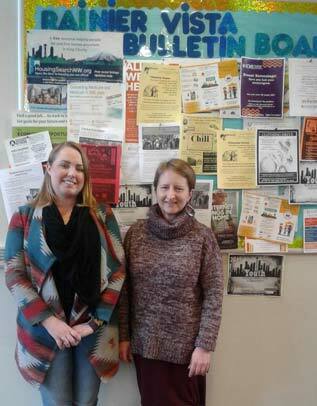 Seattle Neighborhood Group has partnered with the project to act as fiscal agent. 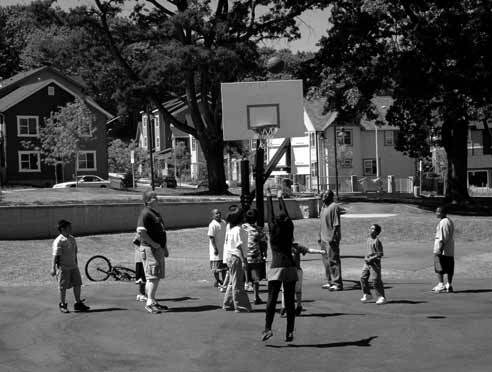 Located in Seattle’s Central District, Seattle Neighborhood Group has been building relationships and working to engage people to create safe neighborhoods for 25 years. “Building Our Bridge makes a vital difference in the lives of SHA residents by providing them with opportunities to develop job readiness and technical skills, and build the confidence needed to make a positive difference in their respective lives and communities. Seattle Neighborhood Group is proud to be a collaborative member in this important project,” Linda Spain, Executive Director, Seattle Neighborhood Group. This article was submitted by Elizabeth Kennedy, Project Manager for the Building Our Bridge Project. NEW YORK, NY – The role that mathematics plays in adolescent education has been changing for decades. With access now to resources such as calculators or even the internet, the way that schools teach and utilize mathematic computations is always evolving. To combat this, Dr. Bernice Kastner has published a new book titled, The Role of Language in Teaching Children Math, which serves to identify and resolve the problem associated with the language of traditional mathematics and the obstacle it creates for students. 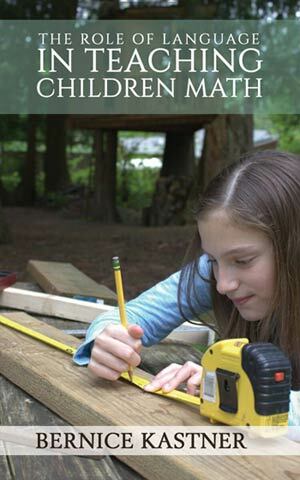 Bernice Kastner’s new book is sure to raise eyebrows among mathematical as well as educational contemporaries across the globe. The Role of Language in Teaching Children Math, published by Austin Macauley, will be released on February 28th, 2019. Price: $7.95, ISBN: 9781641825429. It is available in Amazon, Barnes & Noble as well as other bookstores around the country. Advance review copies are available upon request. For more information, please visit: www.austinmacauley.com/us. About Author: Dr. Bernice Kastner received her BS Honors in Mathematics and Physics from McGill University in Montreal. She is a professor emeritus of Towson University, having received her Ph.D. in Math Education from the University of Maryland. Dr. Kastner has developed curriculum for Simon Fraser University in British Columbia, Montgomery College, the University of Maryland, and other universities. People who are truly creative are a rare breed. There are numerous people that try and fail to make it in Hollywood. It is a tough town to make a living in and for most people their dream dies soon after they make an attempt. Scores of screenwriters flock to the epicenter of the entertainment desperately hoping to be successful. For screenwriters, getting a chance to write for a major television show is a dream come true. The odds of two screenwriters making it as a writing team together in Hollywood are almost unheard of. The creative team of Aaron Harberts and Gretchen Berg, often times just know as Berg and Harberts, is one of those rare success stories in Hollywood. These two have a long history together and one fateful meeting let to one of the most imaginative duos in the industry. These two individuals could not be more different in their dispositions and upbringings but their creative and imaginative natures brought them together. A chance meeting while both were in college through a creative writing program led the pair to become one of the most sought after writing and producing teams in entertainment. It was not creativity at first site but their relationship grew over a period of time and ultimately led to such iconic episodes in popular shows like 90210, Roswell, Star Trek Discovery, Reign, Off the Map and many more. Their producing credits included some very popular shows on channels like CBS, NBC, and ABC. They have a total of 14 producer credits to their names. They have worked on numerous shows that have included medical dramas, comedies, science fiction and teen dramas. Their creativity has spanned multiple genres and they have won such awards like the Peabody Award Nomination, the Saturn Award, the GLAAD Award Nomination and the NewNowNext Award from Logo. It’s no surprise that this dynamic duo has racked up the awards and praise for their writing and producing. So what’s the story behind these two? Gretchen J. Berg is from the east coast of the United States. A native to Pittsburgh, Pennsylvania, she loved growing up during the 70’s and being able to spend so much time outdoors in the woods. You can see from her Instagram page that she is a huge Steelers Fan. She loved to wander through the woods with friends, daydreaming and expanding her imagination. She credits this time spent as a child daydreaming and making up stories as the beginning of her long journey into creative writing. Her imagination would run wild during her childhood and that was the very beginning of her desire to create fantastical stories and characters. Growing up as a daydreaming child who loved to be creative didn’t make her super popular once she got to High School. She was more of a loner at her high school, North Allegheny High, than anything else. The school had a very intense focus on athletics and being a non-athlete, she did not fit in as well as some of her peers. She soon, however, found her passion for acting when she joined the drama club. The school also had a TV studio that she definitely took advantage of during her time at North Allegheny High. She found her calling and other likeminded individuals who helped her to grow and become the talented individuals she is today. She was able to stretch her creative wings during her time at North Allegheny High and ultimately it led her to Northwestern. Most people when looking to break into the entertainment industry end up moving to Los Angeles or New York. Colleges like New York University and USC have excellent media programs and are the most popular among future screenwriters. People flock there with their hopes and dreams to become a famous screenwriter. Gretchen Berg decided to take the path less traveled and decided to attend Northwestern University. It was here that her whole life trajectory would take a fantastic turn. Aaron Harberts had a very different upbringing than Gretchen. He was also born in the early 70’s just like Berg but was born and raised in Iowa. He spent most of his childhood in the church listening to her father’s sermons since his father is a Presbyterian minister. Like Berg, he writing was greatly influenced by childhood spent in the pews of his father’s church daydreaming about stories and characters. He traveled often between three different states to spend time with his family. He would create imaginative and inventive stories that he would later write down. His thoughts would run wild during the service and he believes that this is the beginning of his long career in writing. Even from a young age, Harberts was writing stories. He even wrote books that focused on a variety of themes. Harberts would later work on such amazing shows like Roswell, Beverly Hills 90201, and Revenge. Also, as a gay man, he incorporated LGBTQ characters into his shows, which is something he is very proud of. After high school, he then attended Northwestern University which is where his career would get it’s beginning. Berg had already been at Northwestern for almost four years when she met Harberts. He was just ending his first year at the university when she was directing a student film. He started work on that film as a P.A. and ultimately they worked closely on a variety of projects that didn’t necessarily bring them closer together. They worked together on multiple projects during the two- year program called the Creative Writing for the Media. During this time spent together, they both learned each other’s creative styles. They meshed well together in that way but their friendship did not actually take off until after Berg had graduated from Northwestern. 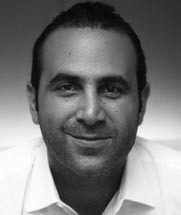 Berg left the university and moved to the west coast to the hub of the entertainment, Los Angeles. Harberts soon followed after he graduated but his original housing plan fell through so he moved in with Berg. He reached out to her when he realized that he didn’t have a place to live. When he first moved in her she was in the middle of writing a sitcom spec. She was struggling with the rewrites. She then asked Harberts if he could help her write the script as a team. She remembered how much she enjoyed his sense of humor and she felt like his creative humor would be the perfect fit for this script. And this was the defining moment of not only their professional career but also their friendship. The Team is known today as Berg and Harberts. Six months later, they finished the script. It was not their favorite but it was the beginning of something amazing. They took as many assistant jobs as they could in Hollywood hoping to try to make the right connections. They wrote constantly during this time and spent hours watching all different genres of films and TV shows to help sharpen their analytic skills and writing. They were broke and did what they could to get by. They sent their scripts to multiple agents and got lucky when one of their scripts got in front of the right agent at the right time. The agent signed the duo in a matter of weeks and soon their career as a writing team took off. It was not long before they had numerous hit television shows under their belts and became one of the most sought after creative teams in Hollywood. From very humble beginnings, the two worked hard and was ultimately able to come out on top. 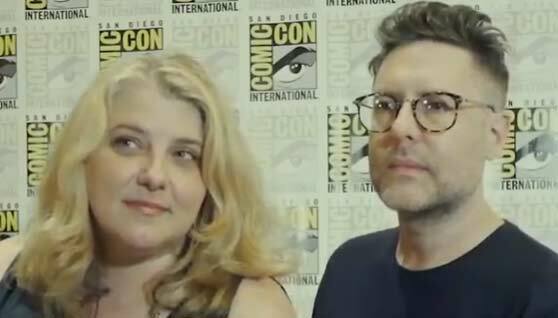 From the first script together (that they ended up burning) all the way to 90210, these two have come together to create scripts, characters and story lines that are thought provoking, inventive, and progressive. Hope you enjoyed this story of Hollywood’s two lifelong friends Berg and Harberts. November 23rd-December 31st in the Seattle Center, join along as Seattleites bring in the holiday cheer. Festivities, performances, arts, and activities flood the levels of Seattle Center and ground areas surrounding. The Winterfest website holds access to the Winterfest 2018 Handbook– entailing every event’s details. Highlights of the 2018 Winterfest include the winter train and village, ice rink, student showcases, ice sculpting, and musical performances. Dozens of free events are available to the public, as well as a few low-cost activities. Woodland Park Zoo’s WildLights exhibit lights up the Puget Sound this holiday season. Friends and family are welcomed to stroll around the zoo’s grounds, decorated all in lights, and holiday decorated animal exhibits. This picturesque scape sponsored by Sound Credit Union, includes a carousel, indoor snowball fights, 700,000 LED lights, food, drinks, and a holiday gift shop. Wildlights runs November 23rd, 2018-January 5th, 2019 from 5:30-8:30pm. Tickets are available for purchase here. More information regarding events and details of Woodland Parks Zoo’s WildLights exhibit can be found on their website. Bellevue’s annual Snowflake Lane parade runs November 23rd-December 24th, 2018. One of the Northwest’s most famous holiday festivities parades through the streets from NE 4th to NE 8th between Lincoln Square and Bellevue Square at 7pm nightly. Dancers, drummers, snow flurries, musical performances, and a meet and greet are available to the public at no cost or entry fee. This year’s meet and greet showcases the Snowflake Lane princesses. 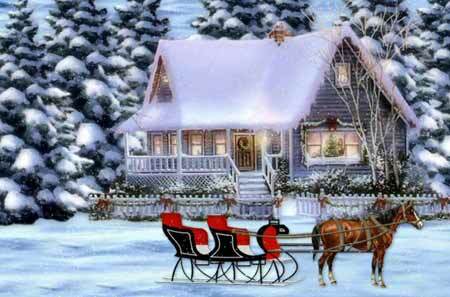 New this year, Santa will be attending every evening parade along the streets of Bellevue. Be sure not to miss the Jingle Belles Dance Line that is even bigger and better this year than ever before. The Pacific Northwest Ballet’s production of George Balanchine’s, “The Nutcracker” runs November 23rd-December 28th at McCaw Hall in Seattle. This performance includes world renowned scoring by Tchaikovsky, choreography by George Balanchine, and beautiful costume design by Ian Falconer. The Nutcracker has a run time of approximately 2 hours and 5 minutes with one 25 minute intermission. Make it dinner and a show by stopping by the Prelude in the McCaw before settling down to watch the ballet. Seattle’s Volunteer Park’s Poinsettia Display and Holiday Express Train have arrived. Within the conservatory located within the park’s grounds, holds rooms filled with poinsettias of all kinds, decked out in holiday lights, with tracks winding through as the train display makes its rounds. Conservatory hours for the Poinsettia Display and Holiday Express Train are 11:00am-3:00pm, Tuesday-Sunday. This display is set in the Conservatory’s Seasonal House, November 16th through January 1st. Admission is $4 for adults, $2 for youth, and free for children under 12. This relaxing and traditional scene makes for an easy breezy last minute holiday event perfect for all ages. Community members can even sign up to be a Volunteer Train Engineer. 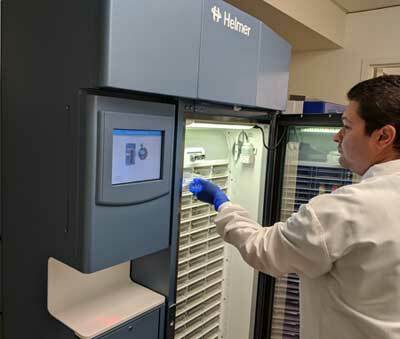 SEATTLE, WA – Seattle-based Bloodworks Northwest is proud to announce a $240,000 grant from the Employees Community Fund of Boeing Puget Sound to help Bloodworks Northwest provide a new fleet of live-saving HaemoBank blood dispensers to area hospitals—an “ultra-smart refrigerator” that operates like a highly-computerized vending machine. 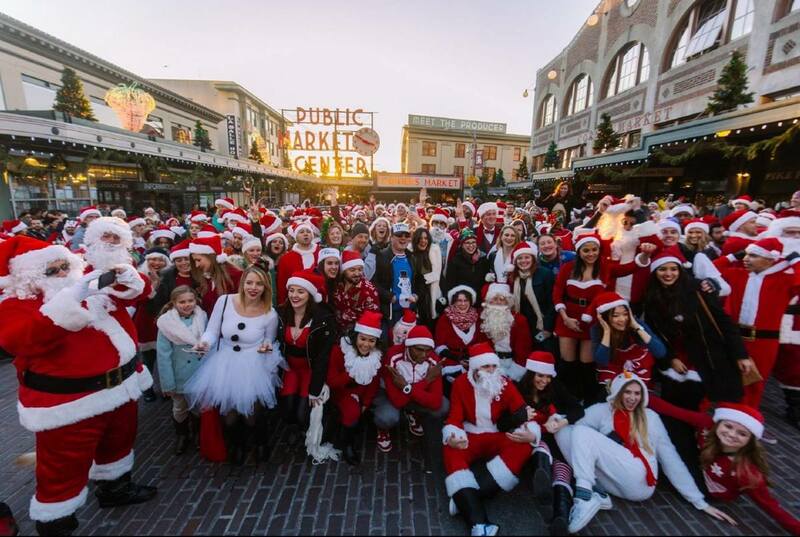 Parade around downtown Seattle this upcoming December 15th at the annual SantaCon. Bar crawling, spreading holiday cheer, and sporting your best Santa costume will make 2018 SantaCon one to remember. The crawl begins at noon and winds it way through stops at the Showbox Market, Hard Rock Cafe, Pike Pub, and many more Santa filled places until December 16 at 2am. The final itinerary will not be available until the beginning of December, so be sure to check back to find where all the Santa’s will be spreading holiday spirit. With over 2,000 expected guests, make sure you buy your tickets before they sell out. Don’t have a Santa costume?– No worries! Come dressed in the most festive outfit you can make! Throw together some Christmas decorations onto your body and head out the door. Elves from Santa’s workshop, ice prince and princesses, gingerbread men, reindeer, and snowmen are all welcome to take part alongside all the Santas at SantaCon. 2018 Ticket proceeds will be benefiting the Boys & Girls Club of King County. Because of the popularity SantaCon has gained over the past few years, there is no one venue large enough to hold every participant at once. That means an online costume contest will help determine the winners of this year’s best costumes. Post photos of you and your friends on the Seattle SantaCon 2018 Facebook page, or Instagram your photos using the hashtag #SeattleSantaCon to enter into the contest. To make this holiday festivity the best it can be, a few rules and guidelines have been put in place to ensure participants safety and event efficacy. Bars and restaurants will only be accepting cash, so no cards will be accepted. Simple drink orders must be ordered to be sure bars can tend to every customer quickly. There will be long lines– so dress warm under your Santa suit! See you there! Remember, Santa drinks smart and safe. The Veterans Affairs administration has had significant issues over the years. Between internal matters festering to the outside, false reporting, and patient care falling to the wayside over the years, the VA has not been meeting standards. With yearly VA reports recently released, reports indicate that improvements have been made, but, not enough has been changed to create sustainable change. The Veterans Affairs administration has struggled to provide quality care to veterans. The VA has released new statistics that show small steps are being achieved to move this broken system in a better direction. According to USA Today, the number of one-star Veterans Affairs hospitals has dropped from 14 to nine since last year. That means that will improvements are being made, but, there is still a lot of progress to be made. A VA medical center in Memphis Tennessee has been one of the lowest rated medical centers in the country. It was recently ranked a one-star hospital for the third year in a row. The issues in this hospital that have been reported have surrounded the critical issue of patient safety. Patient safety issues have increased at this location and led to the low score this facility continues to receive. The questions persist, why can’t they improve the processes or leadership that prohibit this facility to earn a higher rating that would ultimately help veterans? If there are consistent issues, there might be a theme that runs through these hospitals. Employees within the VA have reported that internal reporting can fall on deaf ears, and often issues that need to be addressed are pushed aside or silenced. This is not a way to fix a broken system. Facilities that continually score low and have persistent problems need increased monitoring and stronger leadership. 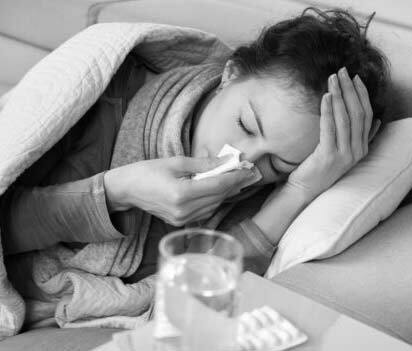 In the reports that are released each year, there seem to be several consistent findings among the lower performing hospitals. Not surprisingly, the Phoenix VA hospital remains at the bottom of the barrel for national ranking. Since the 2014 scandal that arose out of their false patient reporting, it seems like they have made very little progress. Across the board, there was both downward and upward movement for hospitals across the country. While some improved, others dropped. This inconsistent in upward improvement reveals that there is still a lot of work to improve the system so that veterans across the country are receiving quality care. Whistleblowers have been coming forward to expose the truth about their patient or professional experience with the VA. When they have come forward, Attorney Natalie Khawam of the Whistleblower Law Firm has been representing them in their fight for justice. Khawam works with internal and external whistleblowers, as well as veterans who are not receiving the proper health care they are entitled to that have led to problems that could have been prevented. While veterans were willing to put their lives on the line for our country’s freedom, when they return home they are not always treated how one would expect. Attorney Khawam has represented several veterans who have fallen victim to low VA healthcare standards. Sergeant First Class Richard Stayskal is a veteran. Due to a misdiagnosis, Stayskal is facing terminal cancer. He will leave behind a wife and two children and is not able to take legal action according to certain doctrines. Attorney Khawam is representing him to fight for a different outcome and find recourse for him and his family. Another example of this is when Attorney Khawam represented a Marine combat veteran who was trying to sue for malpractice. A five-year delay in diagnosing potential cancer will cut his life short. If the VA isn’t taking care of its patients, someone else must fight for their and their family’s future and ensure mistakes made by healthcare providers are corrected. Of course, health care providers are not perfect, and sometimes mistakes are made. But the consistent pattern of the VA failing its veterans is displayed through the misdiagnosis that was fueled further by unreasonable wait times. These recent reports do not instill confidence in Veterans and their families. The only thing that seems consistent about the VA is how inconsistent the system functions. It is a terrifying thought that the inefficiency of VA hospitals leads to life or death outcomes. But unfortunately, this has been the result for some veterans who have had to rely on VA health care. Systems that have persisting problems take time to improve. But is unfortunate for veterans located in specific parts of the country, that little to no improvement has been made in the lowest ranking hospitals. Thankfully there are resources like the Whistleblower Law Firm, who aim to help veterans get what they deserve. Some would say it is a sweet revenge. 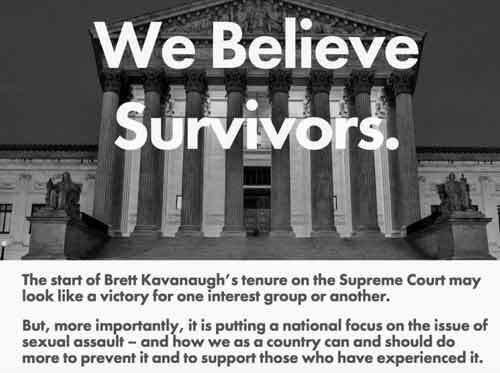 Yesterday, it was discovered that the HarveyWeinstein.com & BrettKavanaugh.com websites were turned into victim resource websites. We got more information on the BrettKavanaugh.com domain in the news. It was purchased 3 years ago by the team at FixTheCourt.com and their CEO Gabe Roth also mentioned they have many others they may use in the future. All we know about the Harvey Weinstein url is that it was on the auction block and they have been sitting on it until recently. It is a sad turn of events. The two websites share a similar layout. They are resource sites to help victims reach out to the proper authorities. The lesson out of all of this is that you must own your own domain if you’re in the public spotlight. This includes CEO’s, celebrities, and politicians. If not, they won’t have the ability to control what is placed on them and it may not be the best information. Today also marks the anniversary of the #MeToo Movement. 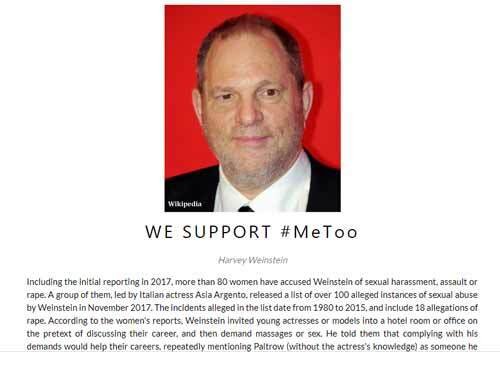 The movement has come along way since the allegations against Harvey Weinstein started to flood in. We’ve seen a lot of happenings along the way. From false allegations to Senator Al Franken stepping down and of course the recent confirmation of Brett Kavanaugh to the Supreme Court where several women accused him of sexual assault. This monumental moment for Durkan was followed by the city’s plans and budget for the coming years. A proposed allotment of money has been set aside for the employment of 40 new police officers, 120 firefighters, and 24 new call center employees for Seattle Public Utilities and Seattle City Light, according to The Seattle Times. The city’s transportation services will be greatly benefited from Durkan’s proposed budget. $2.5 million is granted toward Sound Transit with the planning of a new light rail station. King County Metro will be asked to add more bus services around Seattle as well. Additionally, new bus and bike lanes will be added in the city under the new budget. Durkan is working for taxpayers to vote “yes” on the school levy this November in attempts to fund preschool, K-12, and community college schools in Seattle. An allotment of $2.6 billion is going toward Seattle utilities — this includes garbage, recycling, clean water, and power. Durkan’s most prevalent headlining budget is her proposal toward managing homelessness in the city. A proposed budget of $89.5 million was made toward the funding of programs, resources, and departments aiding the homelessness epidemic. In the first half of her inaugural year as mayor, Durkan’s efforts resulted in two times the re-homing of homeless individuals than the year prior. More than 500 beds were added to Seattle homeless shelters during her first year. The mayor’s budget proposal took what was once temporary spending money toward the homelessness and made it permanent. Durkan’s Biennial Budget Proposal has laid out the city’s plan to implement 2,300 more emergency shelter beds, 70% of these beds being 24/7 enhanced shelter beds. Continued investment into the Seattle Rental Housing Assistant Pilot program and Seattle’s Tiny Home Village are to happen thanks to Durkan. The homelessness crisis has resulted in abundant amounts of trash and garbage in the city, especially in encampment areas. Durkan’s budget supports 4 cleanup programs to help resolve this issue. The Homelessness and Housing Investments budget sheet states, “including…removing trash from unmanaged encampments, cleaning trash in the public right-of-way, providing litter bags to unmanaged encampments and collecting syringes from public places and disposal boxes throughout Seattle.” Since the beginning of these programs a count of 111,000 syringe needles have been picked up. 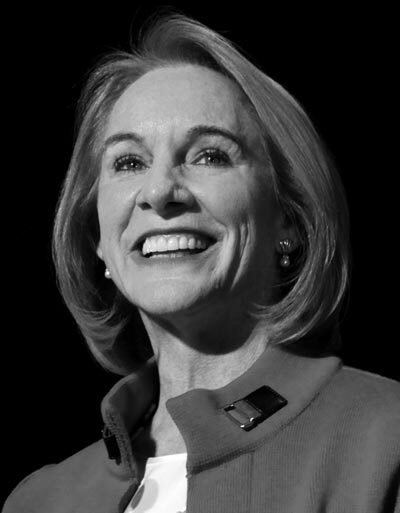 Mayor Jenny Durkan’s leading-edge budget proposal leads the way to a productive and innovative upcoming few years for the City of Seattle.